We have been successfully manufacturing, exporting & supplying all types of Rubber Fillet, Rubber Rollers, Rubber Grips. We are the winner of 3 times National Award and 2 times International Award for Quality manufacturing. KEW Manufacturers, exports & supplies Paper Core Cutter Machine with high production. Emery, Small Round Pimple, Big Round Pimple, Synthetic, Fine Emery surface White, Rough Emery Surface, Small Round Pimple Imported Brown, Synthetic PU Square Pimple Imported Transparent, Synthetic Plain, Synthetic Fine Emery Imported, Special Type Find Finish Smooth Finish Plain Imported, Imported and many more types of Rubber Fillets with Industry Specific. 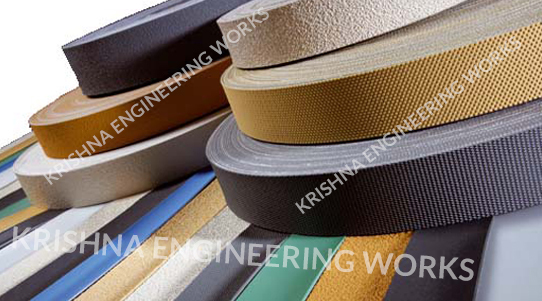 We are dealing on Rubber Fillet for different types of Industry Specific Applications. Krishna Engineering Works is a company engaged in Manufacturing, Exporting & Supplying of Air Shafts like Mechanical Shaft, Quick Lock Shafts Multi Tube Shafts, Air Expandable Shaft; Air Chucks, Quick Lock, Safety Chucks from Ahmedabad, Gujarat, India. KEW reserves the right to change specifications & design without prior notice to incorporate the latest development.